We found these large, streamlined frogs near large puddles in the dirt road through the reserve. They were common at those spots, though difficult to approach. Typically as we would get near, they would leap into the water and hide in the muck at the bottom. Occasionally one of them would hold its ground for a quick photo session. 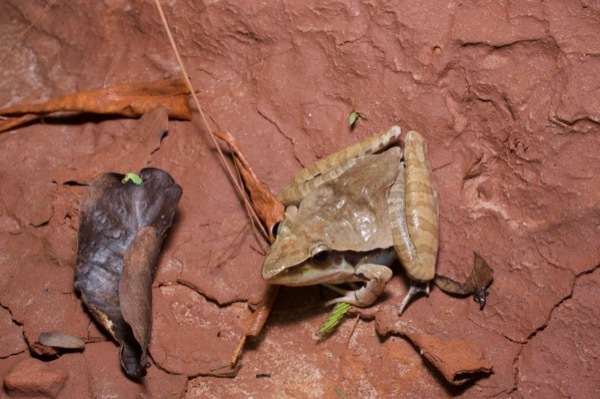 I am confident that this frog and the previous one are both Ptychadena longirostris. 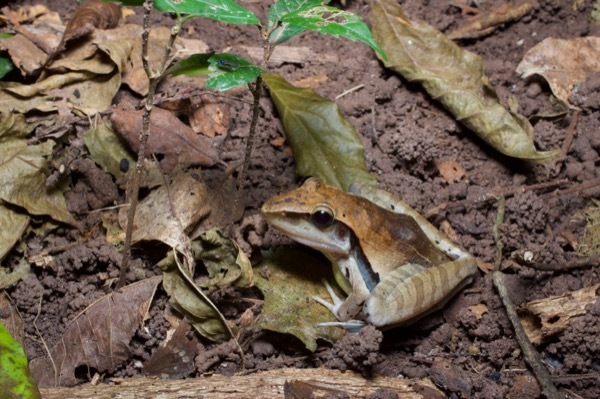 However, there is another Ptychadena species that is known to share puddles with this one, Ptychadena oxyrhynchus. Some of the other Ptychadena I photographed in this area might belong to that species.